I’m a little late, but better late than never! Thank you for taking the time to read my blogs and being interested in what I have to say. I wouldn’t describe myself as someone who has a lot to say, but it would appear otherwise, as this blog may have lots of posts by then time you are reading this. I started this blog to document my creative journey, and while my vison is clear, the path isn’t. Also, I will never arrive at creativity. It isn’t a destination, but rather, a state of mind. Who is the dream reader you ask? Ideally, it’s anyone who can inspire me to be more creative. Someone who has a thoughtful idea or constructive criticism that’ll help me on my journey. I welcome those who are there to encourage me along the way and to help me cultivate myself. Of course, this person may not exist, so I am hoping to build a community within the blogging world to help me. 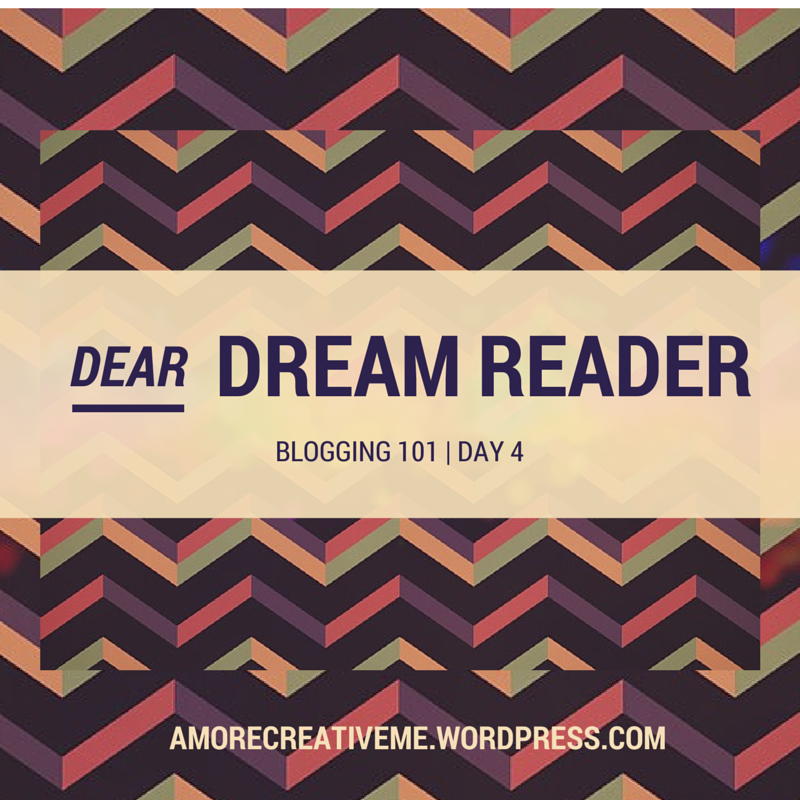 I think each blog/website has its community, and so by creating mine, I’ll be surrounded by my dream readers, whether or not they fit my loosely defined criteria. We are all here for our own reasons, and I believe that support alone, will help us all. Who is your dream reader?